Dr. Christopher Essex is Professor of Applied Mathematics at the University of Western Ontario. He is a former director of its Theoretical Physics Program and a former Associate Chair of Applied Mathematics. 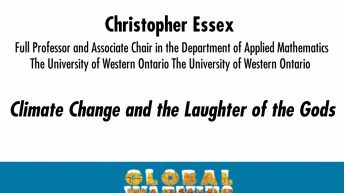 On January 1, 2016, Essex was named chairman of the Global Warming Policy Foundation’s Academic Advisory Council. He did pioneering work on the thermodynamics of photon and neutrino radiation. He made one of the first correct estimates of the entropy production rate of the Earth, and with D.C. Kennedy and R.S. Berry he computed the first correct peak temperatures for laser radiation. Among many international invitations to speak on these topics, he has taught at the UNESCO advanced school in Udine, Italy, his work was featured at the Joint European Thermodynamics Conference held in Chemnitz, Germany. Professor Essex is co-discoverer with K.H. Hoffmann of the entropy production paradox, arising in the context of anomalous superdiffusion. He also discovered, while a guest of the Vatican, modern mathematics (Sierpinski triangles) embedded in the ancient floor tiles of the Sistine Chapel and elsewhere in the Vatican museum, a discovery he presented at the Pontifical Academy of Sciences. His work also includes applications of dynamical systems theory, such as chaos cryptography. With Weiguang Yao and Pei Yu, he helped to invent the method of “competitive modes" which has become a standard in the search for chaotic domains of complex dynamical systems. He has also worked on the limits of modelling and computation, among other applications of mathematics. By invitation, he has organized and participated in meetings held in Erice, Sicily of the World Federation of Scientists (WFS), which is based out of CERN. He has co-chaired sessions there with Antonino Zichichi and Nobel Laureate T.D. Lee and he became Chair of the WFS's Permanent Monitoring Panel for Climate in 2011. In 2012, as Chair, he hosted Dr. Vaclav Klaus, President of the Czech Republic, as a guest of the panel meeting. Professor Essex held an NSERC (Natural Sciences and Engineering Research Council of Canada) postdoctoral fellowship at the Canadian Climate Centre to work on its (GCM) climate model. He built his first computer climate model in the 1970s. He held an Alexander von Humboldt Research Fellowship in Frankfurt, Germany. He was a sabbaticant at the Niels Bohr Institute in Copenhagen, Denmark, supported by a Danish National Bank foreign academics program. There he worked on the thermodynamics of the citric cycle in mitochondria, and its connection to fuel cells. He is an award-winning teacher and a recipient, with Ross McKitrick, of the $10,000 Donner Prize in 2002, for the book Taken by Storm: The Troubled Science, Policy, and Politics of Global Warming, which had a second edition in 2007. That book was a finalist for the 2002 Canadian Science Writers' Book Award. Also, in 2007 he was a featured speaker and panelist at the Chicago Humanities Festival. He is coauthor, with Robert Adams, of Calculus: A Complete Course, 8th edition – a fresh take on applications beyond traditional treatments. He was first appointed by the Canadian Governor General to the governing council of NSERC in 2006 and reappointed in 2009. NSERC is a billion-dollar government corporation that funds fundamental research in Canada. 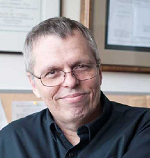 He became the first (US) Phi Beta Kappa Visiting Scholar from a Canadian university in 2012. Professor Essex has been mentioned on the floor of the Canadian federal Parliament; he has a blessing from the Vatican, his work has been cited on the floor of the US Senate, and he has lectured at the British House Lords. Both Freeman Dyson and the late Leslie Woods personally advised him in the much-misunderstood but crucial art of scientific heresy.